Welcome to the New Millennium, where the world is made of technology. Each day, we are rising and growing, advancing and achieving, becoming greater in every way than the day before. Technology has affected us so significantly that we cannot even think living without, especially the one which we call "smartphones". "We only know a fraction of what smartphones can do." Despite the fact we use our smartphones on a regular daily basis, we only know a fraction of what smartphones can do. In fact, only 1 out of 10 person we surveyed were aware of advanced terms not used by the average consumer. The majority, those who did not know, said they would like to learn if it helped them, but were intimidated to ask for help or the resources are far too complicated. 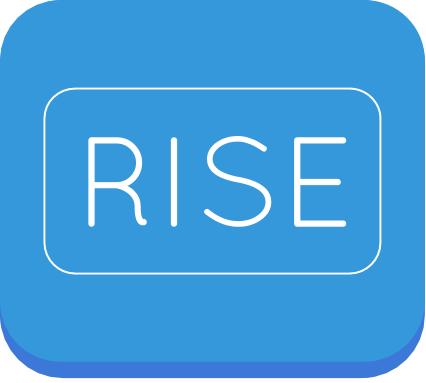 RISE is a revolutionary app designed to rise your knowledge on technology that will benefit you in: making smarter purchases, making life easier, and growing smarter every day. Unlike conventional, similar products, RISE was developed with humans in mind. It's the combination of research, psychology, education, technology, and beauty.